H Is for Hawk (Hardcover) | Eagle Harbor Book Co. 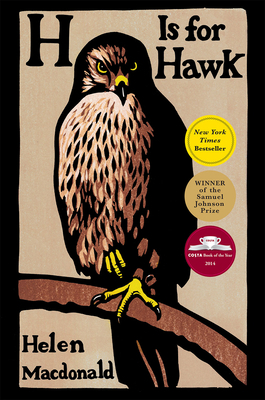 This stunningly written story of author Macdonald’s journey through grief and despair, guided by a recalcitrant, single-minded young goshawk, is an inspiration to us all. Mabel is not your typical bloodthirsty bird! I rooted for Mabel from start to finish!